Our Spring Seminar will be held on Saturday, March 23, 2019 at Northwood Christian Church in Springfield. We have been lucky to have some excellent speakers for our seminars and our members requested we invite Janice Sellers back and we are! Janice Sellers was not available on March 9th so we have changed the date to March 23rd. So You Found Them in the Census: That's Only the Start! When you find someone in the census, you probably write down some (maybe all?) of the information from the page, but have you thought of how that information can be clues to lead you further in your research? In this session we'll follow some of the many directions the census can take you. This session will focus on identifying the cemeteries in which your family members are buried and then on how to obtain and use their records to further your research. When researching an immigrant ancestor, finding information here in the U.S. is the necessary first step (and the more, the better!). This lecture identifies resources and provides tools and strategies to help you make the leap to the “old country” as accurately as possible. Janice M. Sellers is a professional genealogist who is passionate about her work. She specializes in Jewish, black, dual citizenship, and newspaper research. She has taught at local to national/international events. 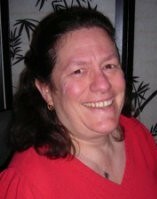 You can visit her web site and blog at ancestraldiscoveries.com.